Ready to transform your card issuing and merchant acquiring business? OpenWay, a top-ranked digital payment software vendor, invites you to visit its stand at the 11th Global Banking Innovation Forum & Expo. Come watch our demos and learn about how WAY4 solutions can kick-start the digitalization of your card business. Come to the panel discussion! OpenWay, a top-ranked digital payment software vendor, invites you to visit its stand (#E60) at Seamless Middle East, the biggest event in the region focusing on payments. Watch demos of our solutions and gain valuable insights on where the payment world is heading. What kind of technology should be backing up your digital payment strategy? How can you tell if it is agile enough to support future growth? We present WAY4, an open payment processing platform, that leading financial institutions in the Middle East and across the globe use to run their processing business. Your want to find solutions to increase revenue streams in card issuing, acquiring, and payment processing. We looking forward to seeing you there! From your point of view, what are the trends you are observing in the Italian payments sector? What value can OpenWay create for it? I see two co-existing trends. Italy is known for large payment players who achieved scale through consolidation. It is not finished yet, as true giants are being created now. At the same time, new start-ups are appearing on the market. They are small but keep on challenging the status quo. OpenWay can offer solutions to both very large players and start-ups. For big players, we have more than ten years’ experience of successfully migrating huge organizations in Europe from legacy systems. Our track record includes projects with equensWorldline, SIX Payment Services, Nets, Raiffeisen and others. For start-ups, we bring value as an experienced partner. Rather than developing things themselves, they can rely on our WAY4 solutions and create unique business cases. An example is Credorax, who migrated from a third party processor to our WAY4 platform – and has grown 10 times within three years. For the large-scale projects what are the most important factors to consider? Choosing the right platform is important, for large and small players alike. To move the company’s capabilities to a different level, ensure that you do not replace “like for like”. And think about consolidating the different parts of the infrastructure. Simple, online, holistic – keep your solution like that. Huge projects bring huge risks. You need to decide early if you go alone or with an integrator. OpenWay has experience working with integrators on huge projects, even for state-owned financial institutions. Recently, National Bank of Greece has received an award as the best IT project for digital transformation on WAY4. This project was implemented by OpenWay and Accenture together. “Big bang” data migration can be harmful for large institutions. You have to minimize the impact on your end customers. We apply the rollback strategies, parallel runs and all these instruments that help. Regarding payment revenues, what are the strategies to grow? Indeed, it is very important to find new revenue streams, particularly for issuers as card interchange fees are declining. One potential area for new business models is around data. Collecting data is hard because of GDPR. We utilize data that runs alongside a payment transaction. If you want to help merchants personalize their promotions, WAY4 can process transaction data up to level III and track the customer payment history. Using this data, it calculates bonus points, applies discounts and targeted offers. You can create more of a closed-loop and semi-closed-loop schemes to add value to your merchants, while become more independent of the large payment schemes and retaining more of the interchange. Consider new strategies such as offering consumer loans at the Point of Sale. This could actually help you bypass constraints of the schemes, while still working together with retailers and helping them to grow their business. You can also watch other videos from our payment experts. How have Netflix and Amazon thrown a challenge to banking services worldwide? How can your business expand during the era of Open Banking? What makes up a successful Open Banking platform? Julian Farley, Business Development Manager at OpenWay, answers these and other questions during his presentation at MoneyLive Summit in London. Learn what kind of Open Banking transformations with WAY4 are taking place and how this is giving our clients the competitive edge in a new era. OpenWay Club is a perfect platform for exchanging ideas about how to grow and profit in financial services. We started 5 years ago as a small community of OpenWay team and WAY4 users, yet have grown into a international network of industry experts. Club members meet to discuss new business models and digital payment strategies. 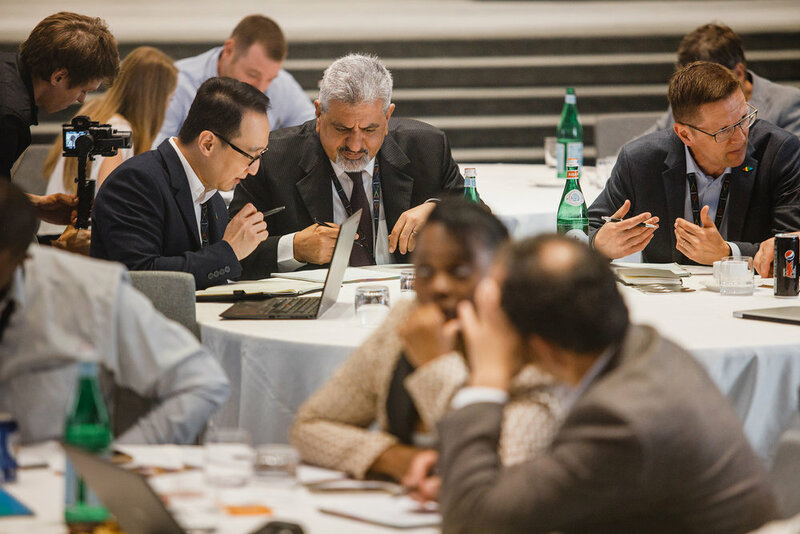 In 2018, the leading banks and processors from all over the world networked with each other during the interactive design thinking workshops and discussed how to leverage the latest WAY4 solutions for business growth. The innovation sessions were facilitated by our special guest, Eugene Shteyn, an expert in scalable innovations from Stanford University. How To Join The OpenWay Club? If you have ideas and insights into how to significantly improve the customer experience or generate new revenue streams in payments, please contact us. Participation in the OpenWay Club is generally by invitation-only or on a member-nominate-member basis, however we are open to welcoming new faces. Thank you! We’ve received your request and will contact you in 48 hours. OpenWay took part in the IFSF annual conference, one of the most important global events for the retail fuel sector. Key fuel industry players met to discuss top business and technology trends impacting retail fuel and convenience store operations. The conference in Hamburg, Germany on November 6-7 attracted over 100 delegates. The hot topics this year were enhanced customer experience, open payment infrastructure, and fleet business digitalization. IFSF (International Forecourt Standards Forum) is a community dedicated to enabling technology standards to benefit automotive fuel and energy retailers. OpenWay, a developer of the end-to-end digital payments software for fleet card issuing and acquiring, holds a technical associate membership of the IFSF. This allows us to collaborate with the IFSF working parties on developing and incorporating the standards into our solutions. “We believe that the IFSF organization will make the fuel industry implementations easier thanks to its ambition for a single standard. For OpenWay, this conference is another good opportunity to interact with different actors across the industry to get valuable insights and streamline our technical communications. The IFSF membership helps to position our company as a technological leader in the fuel payment industry,”- comments Frederic Richel, consultant at OpenWay. Conexxus: a non-profit, member-driven technology organization dedicated to the development and implementation of standards, technologies innovation and advocacy for the convenience store and petroleum market. NEXO: an open, global association dedicated to removing the barriers present in today’s fragmented global card payment acceptance ecosystem. OMG: one of the largest and long-standing non-for-profit, open-membership consortia developing and maintaining computer industry specifications. NACS: the National Association of Convenience Stores & Fuel Retailing, serves the convenience and fuel retailing industry by providing industry knowledge, connections and advocacy to ensure the competitive viability of its members' businesses. Value-added services through new technologies such as voice assistance, cashier-less stores, AI for service personalization and fraud prevention. During the conference the targeted workgroups elaborated on the readiness of the current infrastructure for open payments and digitalization. Now IFSF is working on the standard for APIs for fuel stock management on the OAS 3.0 framework, EMV fleet tags, an acceptance protocol for tokenization and wallets, and a MIG (Message Implementation Guide) similar to the NEXO standard of the ISO 20022 protocol. Security workgroups discussed the new approaches to handling customer data. With GDPR now in force more data is classified as sensitive, which is moving the industry to a new security level, such as AES 256 encryption. Embedded value-added services for fleet cardholders based on customer data analysis, loyalty programs, tokenization and mobile payments, wallets and other alternative payment methods. We will be pleased to sit with you and learn more on your needs to enable us to address them in the most efficient way. On November 4th OpenWay kicked-off its first official Fun Run. Every day we run projects, tests, businesses and lives. But what about an actual run? 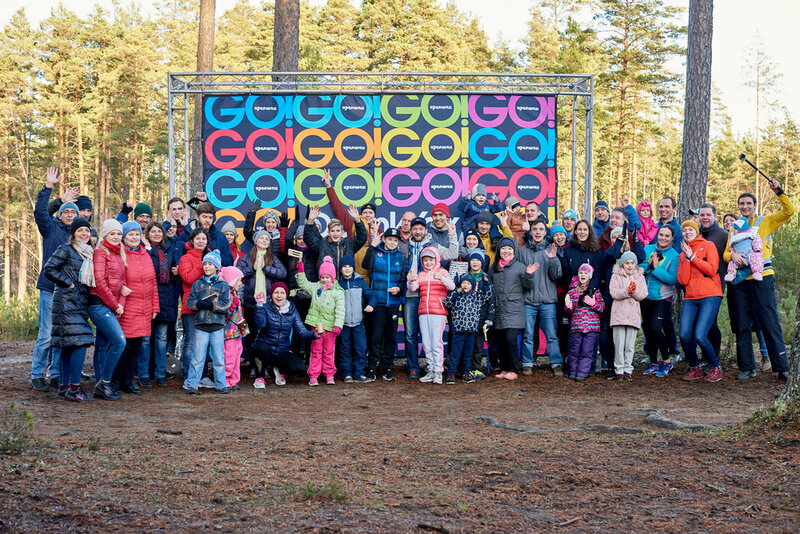 On November 4th OpenWay kicked-off its first official Fun Run, a cross-country open-air run through the pine woods. The diverse participants of all ages – engineers, developers, and sales managers at OpenWay and their families – challenged themselves with 1-, 5, and 10 km races. “To some, this distance was an easy walk, a routine workout, whereas others faced it like a real challenge. At the end everyone was happy. And such a peaceful and homely atmosphere, with kids, families! It seems that everything worked out!” said Olesya Prischepa, the Go!OpenWay organizer and digital banking product manager in one person. “A Weekend With Colleagues? For some it may sound crazy that you can enjoy pastimes with your colleagues outside work. But if this pastime is something different from the day job, spending a time in a company of intelligent and inspiring people is actually a good thing! It helps to get to know colleagues better, see them from a new angle, and this improves communication at work, too. Sometimes the best ideas come to you when you’re not in the office!” – says a race participant. As OpenWay is a global company, we want to challenge other local teams as well. It’s pleasant to run in the woods, but running on the sunny beach in Indonesia or along the North Sea coast can be a great out-of-office experience, too. We invite you to our workshop “Omni-channel payments for new revenue streams: wallet, e-commerce, open banking – business cases and new technologies” at Il Salone dei Pagamenti Payvolution, the major payment industry event in Italy (Milan, November 7-9). The workshop is organized by OpenWay, the global leading digital payments software. Why would you join us? Take an insight on the most efficient business models and use cases in digital wallets, traditional and e-commerce acquiring and open banking. Get the expert opinion on the latest technology trends: contactless, QR, tokenization, cloud payments, data analytics, PSD2 Hubs. After the workshop we will be pleased to sit with you and learn more on your needs to enable us to address them in the most efficient way. Book your demo session/discussion slot now! OpenWay would like to invite you to the Smart Card 2018 event, one of the largest banking innovation and technology conferences in the Balkans, taking place in Opatija, Croatia on September 24-26. On July 25th OpenWay co-hosted Seamless Africa Ethiopia meet-up event, which gathered experts from the leading FIs in the region for the discussion about current technology and regulatory challenges in banking. Doug Ballantyne, Regional Manager, Sub-Saharan Africa, OpenWay, gave a speech on how to choose the right partner to address those and change the game. Doug Ballantyne, Regional Manager, Sub-Saharan Africa, OpenWay welcomes the guests at Seamless East Africa Ethiopia meet-up. OpenWay at Seamless East Africa Ethiopia meet-up conference. The WAY4 innovative Wallet platform can support various business models and UX scenarios – come and see it yourself in our exclusive demo and discuss your particular business case with our expert team. OpenWay showcases its WAY4 digital payment processing at Seamless East Africa, 3-5 September 2018 in Radisson Blu Nairobi - book you demo or meeting now! Profitable digital banking and wallets for financial inclusion of the unbanked - go branchless! 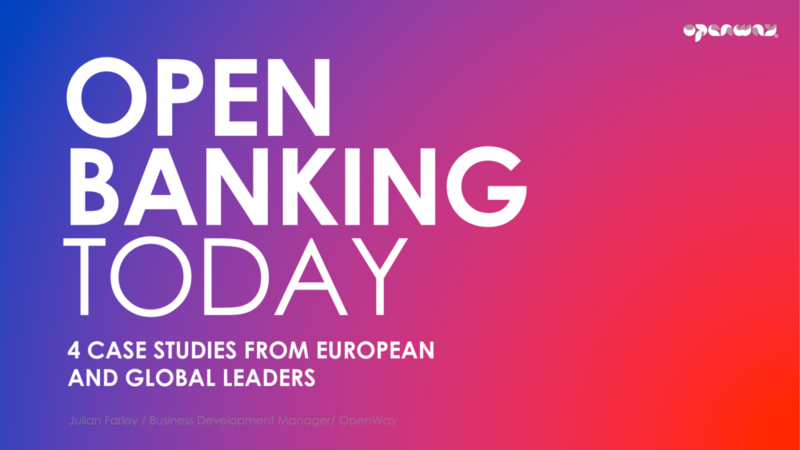 OpenWay serves over 130 banks, processors, national switches and telcos worldwide – let’s share knowledge and expertise! Our team looks forward to meeting you at Seamless East Africa - schedule the best time now! We invite you to OpenWay stand C110 at Money2020 Europe next week. Why would you join us? Watch the demo of the top-ranked WAY4 Wallet, #1-ranked WAY4 CMS (Card Issuing, Merchant Acquiring and Payment Gateway), innovative WAY4 PSD2 Hub and other software solutions. Share your payment business needs and pain points with our experts. Take our insight on the most efficient business models and use cases. Meet other leaders and start-ups of the payment industry. OpenWay serves over 130 banks, processors, national switches and telcosworldwide. Our customers frequently visit our stand. Are you looking for new digital payments business models? Expanding your business to become the preferred digital wallet and e-banking provider? Looking for payment innovations and cases to attract even more customers? OpenWay, the top-ranked digital payments platform software vendor, gladly invites you to Digital Pay Expo Nigeria 2018 on June 5-7! Our team offers you to schedule personal demo-sessions and meetings with our top business and technical experts to discuss the requirements of your business and show WAY4 solutions in action. Join OpenWay at the unique event addressing different segments of digital financial services! We’ll present our universal payment platform proven for mobile wallets and digital banking, card issuing and merchant acquiring, switching and e-commerce gateways by Network International, Equity Bank, EMIS, Saana Holdings Ltd., Areeba and over 130 other tier-1 and start-up banks, payment processing and telco companies, microfinance and fleet companies, national and regional switching all over the world. The WAY4 digital payments software platform caters to the banking needs of the diverse regions and businesses – ensuring orchestration of various payment instruments and channels, enabling financial inclusion with end-to-end digital payment solutions, and enhancing customer experience with new digital value-added services. OpenWay Club 2018 Starts this Monday! We welcome our registered guests at OpenWay Club 2018 on April 23rd! 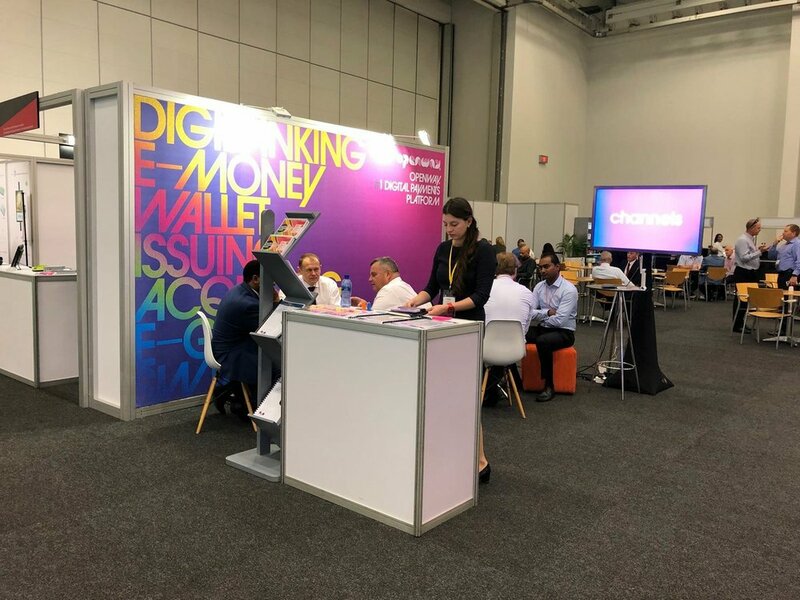 OpenWay Demonstrates WAY4 digital payment processing platform at Seamless Africa 2018 in Cape Town. Find a digital payment solution that suits your business and explore new business models with OpenWay! Meet our team at Seamless Payments Africa - the biggest payments and e-commerce event in the region. Also join our “Digital Party” - highlight March 5th, 16:30 in your calendar! Let's discuss the challenges and opportunities of the African payment market in a relaxed networking atmosphere. Our team looks forward to meeting you at Seamless Africa - let's schedule the best time now!